While out and about on a work trip recently, I found myself passing through Ft. Scott and decided that would be the day I finally stopped at “Sugarfoot and Peached BBQ”. It’s a place I long ago vowed I would eat at one day, and I’m definitely glad I did! “Sugarfoot and Peaches” sits on U.S. Hwy. 54, just about a mile east of U.S. Hwy 69, so it’s very easy to find, and very much worth the time to stop at, in my opinion. Just look on the north side of the highway for the old white building with a big porch and a large white pig on the roof! When you see a place like that, there’s no mistaking what they’ll be serving! The indoor atmosphere was actually a bit different than what I expected as I was walking up to the door, but it didn’t disappoint either. Its rustic interior décor is accented by another large pig statue that greets you as you walk in, so it feels like a BBQ place for sure. The food didn’t disappoint either, which is the most important thing! 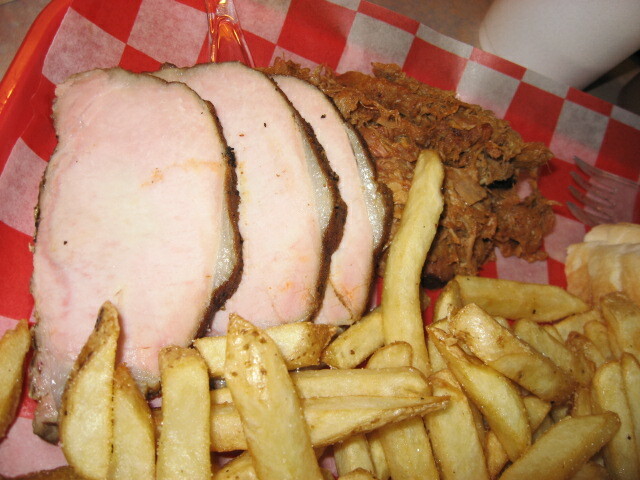 I had the “Dijon-chipotle pork loin” and the pulled pork for my two meats, along with two sides (fries and beans). I found both of the meats to be delicious and high quality. The pork loin was lean, tender, and cooked to perfection, and paired really well with the sweet BBQ sauce that was on the table. The pulled pork was served “wet”, (already had bbq sauce on it) which is something I don’t normally prefer, but the quality of the meat and the flavor of the smoke came right through and mixed with the light coating of sauce to be quite tasty. 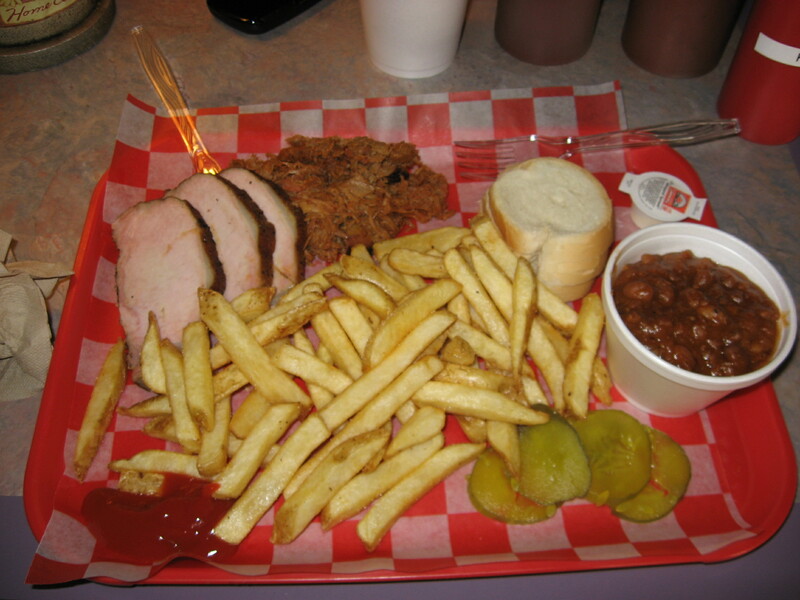 The fries and beans, a part of any BBQ meal that cannot be overlooked, were exceptional, as were the sauces that were provided. This place might be a bit out of the way for some of you, but if you ever find yourself in Ft. Scott, take a few minutes and stop in at one of the many hidden gems in southeastern Kansas. 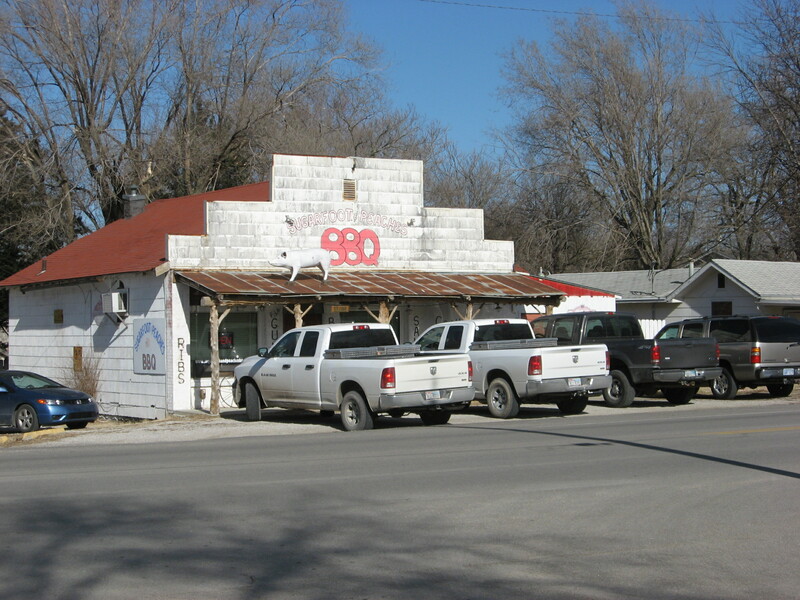 Salina – Hog Wild Pit Bar-B-Q. 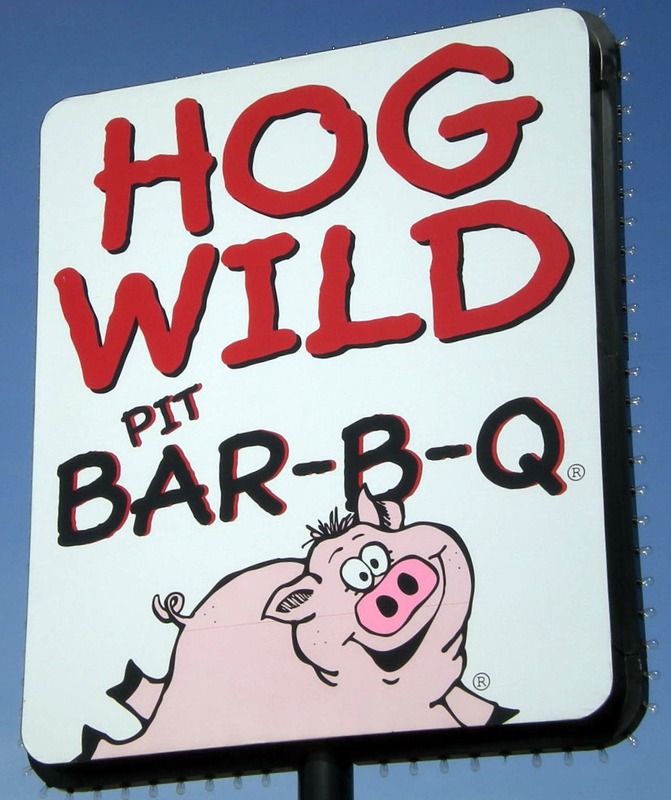 One of my “go to” barbecue restaurants in Central Kansas is Hog Wild Pit Bar-B-Q. 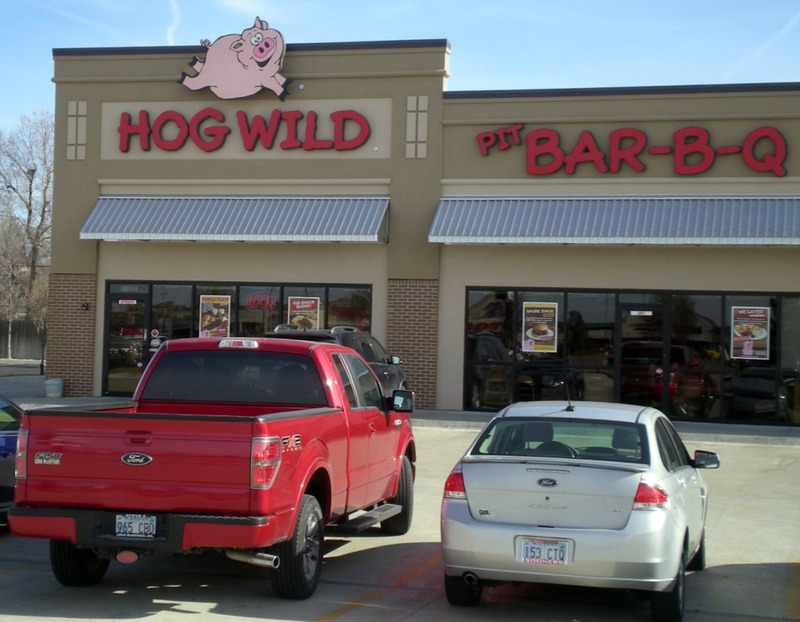 Hog wild has several locations including four in Wichita, one in Salina and one in Hutchinson. The Hutchinson location at 2401 N. Main is my personal favorite, and I always try to stop in while in town for the Kansas State Fair. In my opinion, the hot links are very good. You can also get a barbecued meat covered salad if you wish. 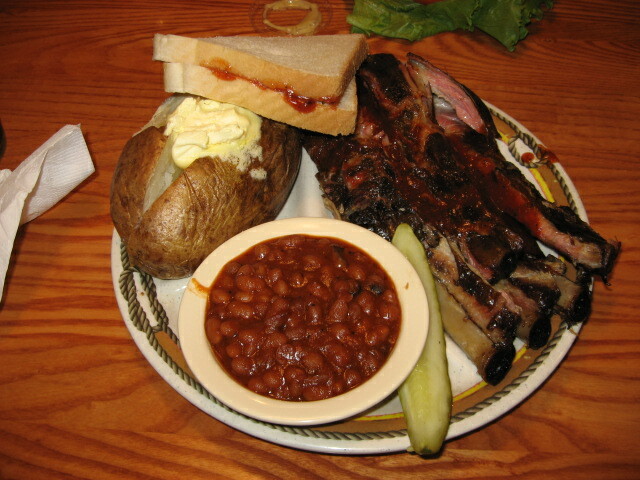 A loaded baked potato complete with smoked meat is also on the menu and is an item that can be found in an increasing number of barbecue establishments. The location in Salina is cleverly decorated and has plenty of seating if you need room for a large crowd. I would personally recommend that you skip the crowds and the vendor food while at the Kansas State Fair and stop in at the Hutchinson restaurant, located just across Main Street from the fairgrounds. 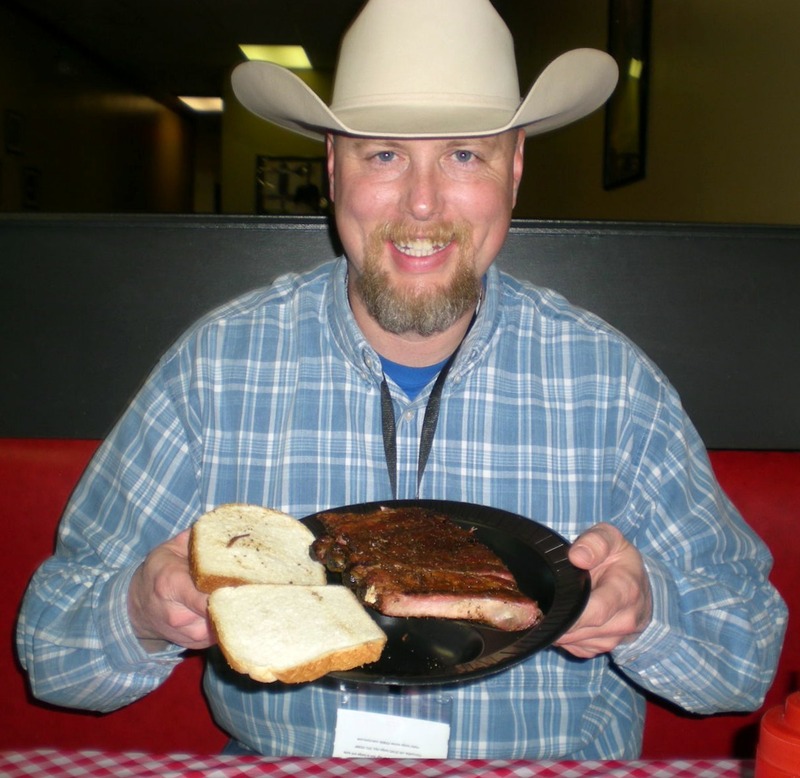 On a weekend trip to Wichita for Kansas Farm Bureau Young Farmers and Ranchers Conference, my wife and I took the opportunity to scout out some great local barbecue. 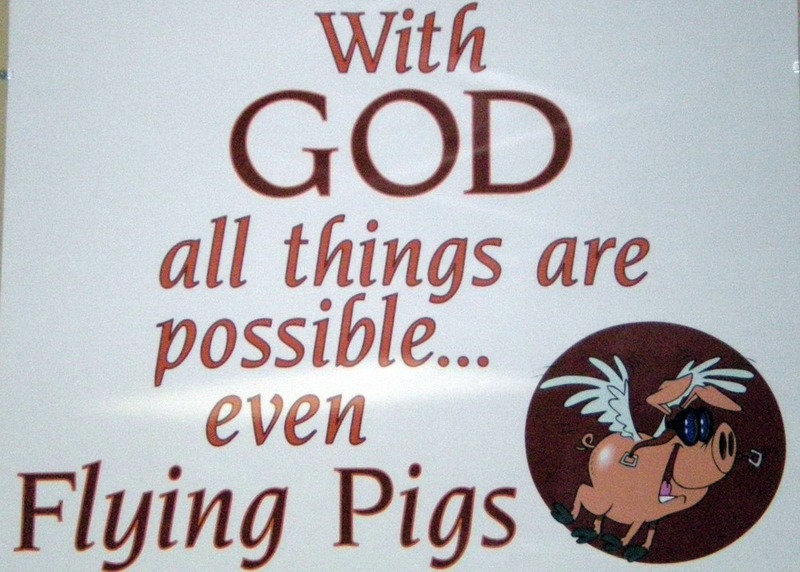 On the recommendation of fellow blogger Mike Epler, we headed out to west Wichita for When Pigs Fly. Having read a handful of online reviews, I was pretty confident that I was going to get some good barbecue here. After a quick look around and a brief visit with owner Brian Choy, it was time to get down to the business of eating. Choy explained that he liked to come up with a variety of weekly specials, including barbecue lasagna and hot link stuffed pork loin roast. I was lucky enough to show up during a week that the stuffed pork roast was on special. This stuff smelled and tasted great! My favorite barbecue meat is pork ribs, and this place does not disappoint. When judging competition barbecue, you use a scale from two through nine to judge on appearance, texture and taste. 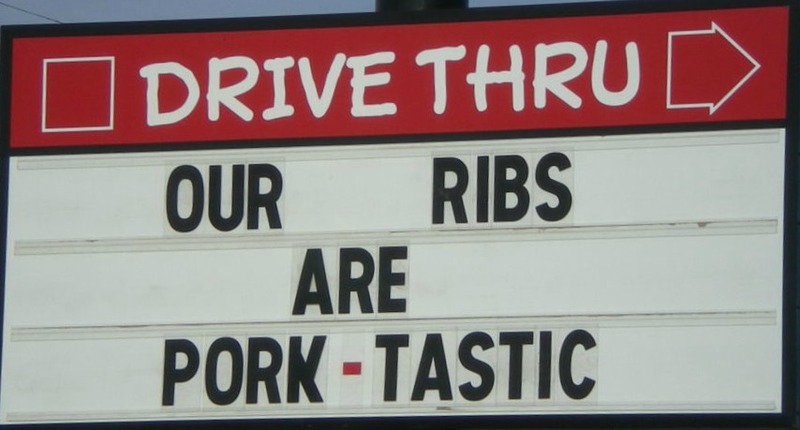 The ribs tasted great and would have gotten a nine for texture. They were cooked perfectly, no small feat for most barbecue pit masters! I guarantee you that I will be back during my next trip to Wichita! Awhile back I had the pleasure of meeting an old college friend for lunch at “K & M Bar-B-Q” in Spring Hill, KS. It’s a place that, once you get into southern Johnson County and points south, comes with much praise for their excellent Kansas City style BBQ. Living and working around the Paola–Olathe area has taught me that K & M means quality across the board, and that comes up quickly in any BBQ conversation around here, so you know I never pass up a chance to eat there! K & M is very easy to get to, as it sits right on the main drag in Spring Hill (Webster St.), just off of U.S. Hwy 169, south of Olathe. It has been a staple in the greater community for over 20 years, and I don’t see it going anywhere anytime soon! Menu items such as the “Killer Combo” (a towering 3 meat sandwich) and weekly specials on more traditional American foods keep families coming in on a regular basis. The recently expanded eatery can now accommodate large groups of people in its rural-style décor interior, but if you want to eat the food elsewhere, K & M will gladly cater your event as well. While on my latest stop at K & M, I had the always delicious and super-tender pork ribs, and like usual had no regrets! The sides are tremendously good, and the sauce is one of my favorites in the whole metro area. If you want to try some of their sauces or their rub and can’t get to the store, feel free to take a look at the K & M online store. 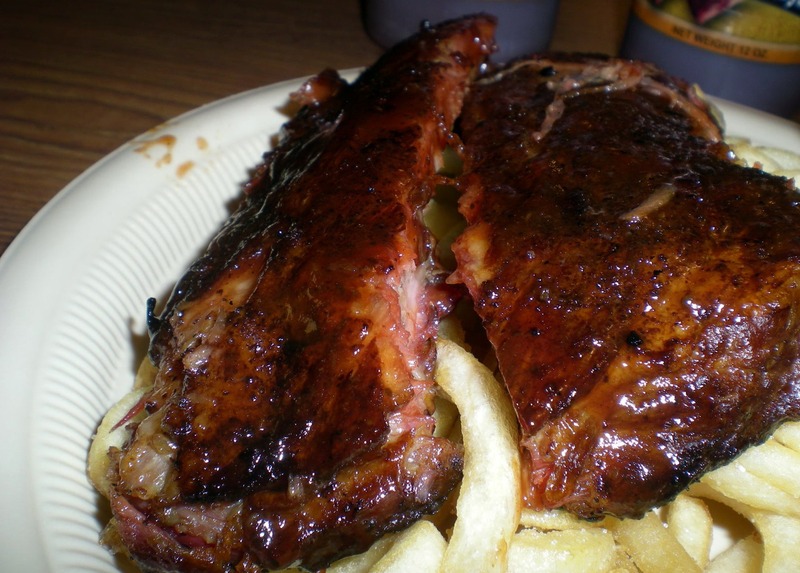 Next time you are in the area and want some BBQ, or if you’re heading down Highway 169 and simply get hungry, make sure to swing through Spring Hill U.S.A. and grab a quick bite at K & M Bar-B-Q and see what has kept the locals coming back for over 2 decades!